A network architecture is a blueprint which provides a framework for drawing Logical Network Diagram, Network Communication Plan, Network Floor Plan Layout, Active Directory Diagram, Cisco Network Diagram, LAN and WAN Diagram. 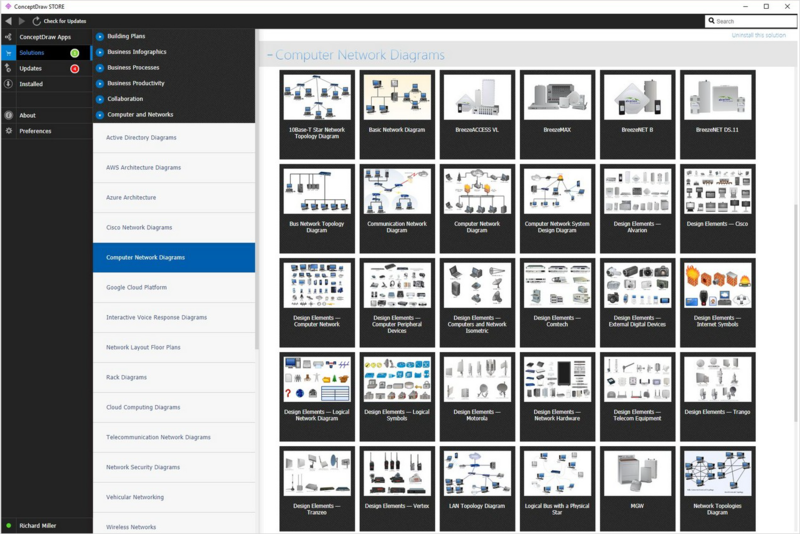 Anyone can design custom local area network (LAN), wide area network (WAN), small and large enterprises network diagrams by use more than 2 000 pre-designed stencils. 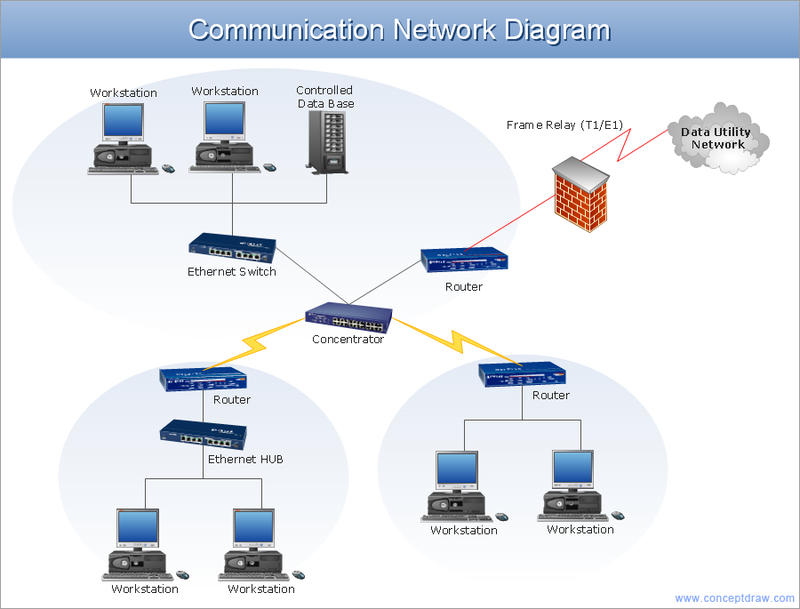 This network architecture diagram sample is created using ConceptDraw DIAGRAM diagramming and vector drawing software enhanced with Computer & Networks solution from ConceptDraw Solution Park. Computer & Networks solution provides libraries of stencils for drawing computer communication network design blueprints, computer network architecture maps, Cisco network architectural drawings, LAN and WAN structure mapping, TCP/IP network architecture diagrams of local area networks (LAN), wide area networks (WAN), intranets and extranets of small, medium and large enterprises, and the Internet.